It’s all too common for people to struggle with debt. 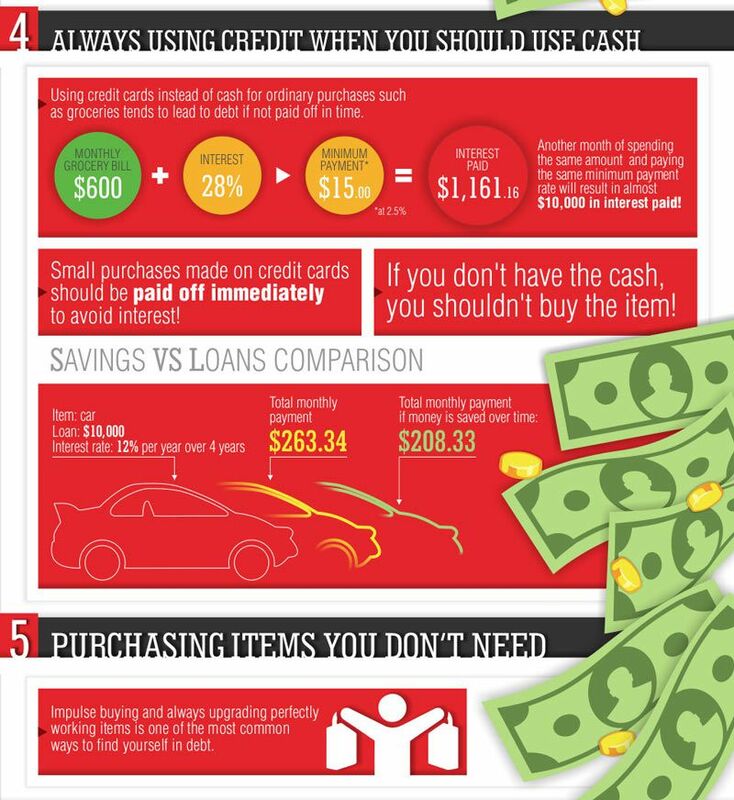 It can seem overwhelming but it is possible to fix bad spending habits. Here’s how. It's no secret that many people are deeply in debt and worried about their financial futures. For some, this debt is a result of lower home values and upside-down mortgages. For others, the cause is anything from credit card overspending to the crushing weight of student loan debt. And if you have ever faced a financial crisis, such as unexpected medical bills or unemployment, these debts are likely to be even higher. Even the state that you live in can affect the amount of debt you're likely to have. Just take a look at these numbers and see for yourself. 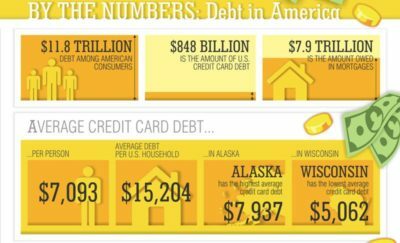 How does all of this debt accumulate and get out of control? The worst habit you can fall into is spending more than you make. This leads to a cascade of bad habits, including paying debt with more debt and making late payments. These not only increase your debt, but they damage your credit score. When you have cash available, there is no reason to use credit; yet many people use credit instead. To make matters worse, credit is often used to buy things that are not needed. Remember that new piece of exercise equipment you needed? Or the blender you saw on television one night when you couldn't sleep? Not only are they more expensive when bought with credit, but they are worth very little at garage sales. Sure, it will take time, but the good news is that by changing your spending habits, getting out of debt is possible. Paying attention to your credit card interest rates, then transferring balances to cards with the lowest rate, can save when done correctly. Consolidating your credit card debt simplifies the way you pay the debt off. This makes it harder to forget to make payments on time, and can save you a substantial amount of interest. In addition to this, it may be worth it to stop using your credit cards altogether. Making a budget puts you back in control of your spending and allows you to prioritize. Budgeting helps you reduce the number of impulse buys you make, so next time you want to pick up the phone for that must-have kitchen gadget, you'll stop yourself and see if you have the money for it. Watching your expenses helps you identify areas that you can save or eliminate, and is a good reality check to discover how much you are spending. 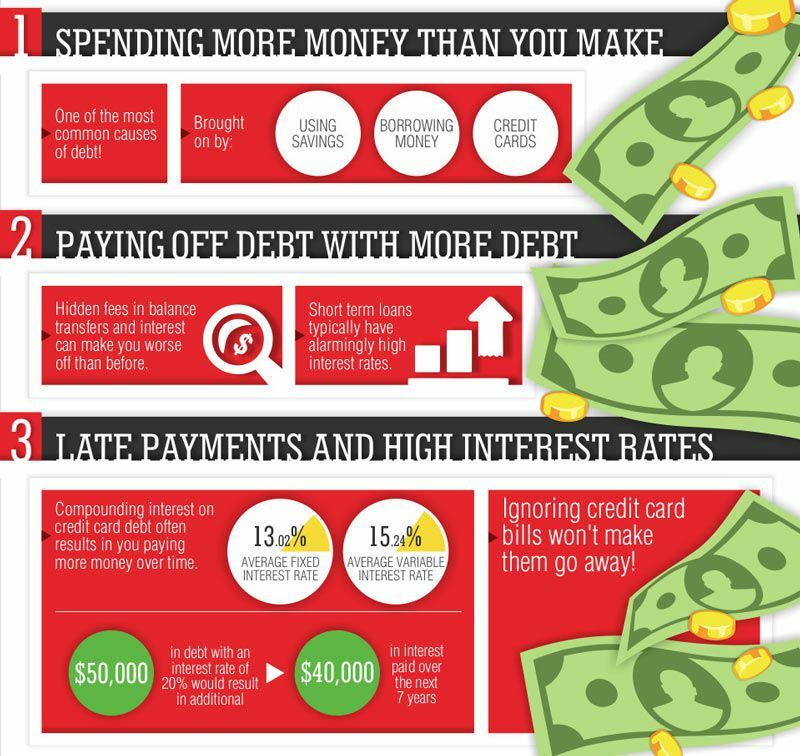 All these are all keys to reducing or eliminating your debt, without losing your mind. Start the process today with our free savings estimate. Remember, you too can get out of debt!